March Madness 2013 is finally upon us. The 68-team tournament will be trimmed down to 64 before the real action starts and a full slate of games will begin on Thursday, March 21st at 12:15 EST. Wagering action during March Madness only rivals the Super Bowl in volume. Online sportsbooks across the web are offering promotions and bonuses for the tournament, in a fight to grab bettors to bet at their books. 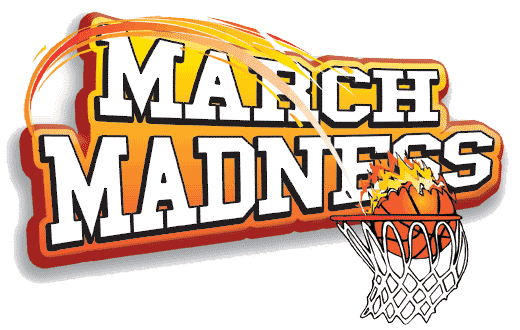 In this article, we’ll go over some promotions at trusted online sportsbooks and preview each region of the tournament field. We’ll also offer up some of our picks for tournament winners, both long shots and favorites along with accompanying future bet odds. Continue to check back to Sports Betting Online throughout the tournament for daily free betting picks on individual games, as well. We’ll be posting picks up until the NCAA Championship Game on April 8th. TopBet Sportsbook: One of the best offers for this year’s tournament action is at TopBet. The book is offering 50% Reload Bonus for all players up to $250 and a $20 Risk Free March Madness Parlay. If players refer a friend to TopBet, they will receive up to $250 for every player that makes a real money deposit. Bovada Sportsbook: The most trusted name in US sports betting offers an enormous slate of props, futures and wagers on every game of the 2013 NCAA Tournament. Bovada offers a 50% Free Bet Bonus up to $250 for all players making their first deposit. For March Madness, Bovada is offering players $50 cash bonus (no rollover) if they wager $25-$50 dollars each day of the tournament. GTBets: GTBets has quickly risen to be a top online sportsbook for players and offers a host of March Madness promos. Players will be able to cash in on three separate Reload Bonuses for each leg of the tournament. Depending on account activity, the max bonus is different for each player. New players will receive a 100% Sign Up Bonus to $150 or a 50% Sign Up Bonus up to $500. Players will be able to receive their initial deposit bonus and participate in the March Madness promotions, as well. This translates to tons of extra betting cash for the tournament for GTBets players. The Midwest region may be the toughest road to the Final Four in the tournament. The Louisville Cardinals – who made it to last year’s Final Four – are the top seed team in this year’s tournament. Full of experience and upperclassmen leadership, Louisville is poised for another final four run despite the tough field that features Duke, Saint Louis and Michigan St. The Cardinals are currently listed as 5/1 favorites to win the tournament. As the top seed, they have a target on their backs, but not many teams are eager to face this powerhouse. No. 4 Saint Louis: This team is getting plenty of hype and with good reason. Great defensively and playing their best basketball all year, the Billikens are also perhaps the most balanced team in the tournament. With five players averaging over 8 points per game, Saint Louis can rely on an array of players to score for them. Saint Louis comes in at 7/1 odds to win the Big Dance. No. 10 Creighton: Creighton could be an upset special for higher seeds in the Midwest. Efficient as any team in the nation offensively, the Bluejays can shoot the rock as good as any team in the tournament. While they struggle defensively at times, their dead eye perimeter shooters should keep them in most games. They face a tough opening matchup against No. 10 Cincinnati – if they can get by them, we like them to make some noise in the Midwest region. Their long shot odds to win the tournament come in at 100/1. No. 2 Duke: The Blue Devils are perennial title contenders, and this year is no different. Sometimes given the over-hyped tag, Duke has a solid squad led by Ryan Kelly and one of the best backcourts in the nation. Perhaps not as athletically gifted as many other teams in the tournament, Duke is vulnerable to physical big men who can dominant the front court. The Blue Devils are listed at 11/1 odds to win the tournament. The South Region boasts another set of tough 1 through 4 seeds with Kansas getting the nod as the top seed in the south. The Jayhawks are playing their best basketball of the season right now, winning 10 out of their last 11 games. Filled with scorers, KU is led by freshman Ben McLemore who averages a team leading 16 points per game. With youthful athleticism and a group of experience seniors, Kansas is a top seed that is capable of a deep tournament run. The Jayhawks are listed at 11/1 to win the tournament. No. 3 Florida: While the Gators have had trouble winning all year away from home, they are still an intriguing team in this year’s tournament. Back-to-back Elite 8 appearances prove this team is capable of winning a championship. Defensive stalwarts, with senior leaders both in the front and backcourt, Florida could surprise a lot of people in this year’s tournament. Despite the lack of hype surrounding this team – they are true title contenders. The Gators are listed at 7/1 to win the tournament. No. 2 Georgetown: On paper Georgetown almost looks certain to be bound for the Final Four – but then again, that is why they play the games. The Hoyas are debatably the best defensive team in the nation and have terrific guard play lead by Otto Porter Jr. and Markel Starks. They can frustrate opponents to no end with their suffocating defense, and when Otto Porter is feeling it, he might be the best player in college basketball. Georgetown is listed at 20/1 odds to win the tournament. No. 9 Villanova: Everyone loves a Cinderella and the Wildcats may be this year’s team that comes out of nowhere. Though they’ve struggled throughout the season, Villanova has racked up many high profile wins against Louisville, Syracuse and Georgetown. This young team has the will to win and could provide tough defensive matchups with their guard heavy offense. Nova could make a run if they claw their way to some tough victories. The Wildcats are long shots to win the title, listed at 200/1. The West Region is widely regarded as the most wide open of any of the regions. Top seed Gonzaga received the No. 1 seed honor for the first time in school history and it is fully deserved. The Bulldogs have not lost a game in 2 months and are flying on all cylinders. Canadian big man Kelly Olynyk has been dominant all season in the paint, and Gonzaga’s guard play has been equally as impressive. Teams have not been able to find an answer for the Zags all season. Gonzaga is listed as at 10/1 to win the Big Dance. No. 3 New Mexico: The Lobos may be the most dangerous number 3 seed in the nation. Winning both the Mountain West Conference Tournament and regular season title, this team is poised to make a deep run. New Mexico can run or slow down the pace of the game to play to their strengths and their opponents’ weaknesses. Their listed odds to win the tournament are set at 20/1. No. 5 Wisconsin: Wisconsin seems to be overlooked by some at this point in the year, but they are upset kings in March. Led by Ben Brust, a jack of all trades for Badgers, Wisconsin always seems to be within striking distance in the final two minutes. Wisconsin’s full court defensive style can annoy even the best offensive teams. Watch out for the Badgers and Bo Ryan’s tough squad – they are listed at 30/1 to win the tournament. No. 8 Pittsburgh: Receiving an at-large invitation to the tournament, Pittsburgh finished 4th overall in the Big East. The Panthers are known for their tough, physical and defensive style of play and that rings true again this year. Pitt has a host of talented big men like scoring center Steven Adams and forward Talib Zanna. They will face Gonzaga in the third round of the tournament if they knock off Wichita State and may give Bulldog center Kelly Olynyk his toughest test down low. The Panther are a legit threat to make a run and are listed at 30/1 to win the tournament. The East Region is a tough one to figure out for even the most experienced bracket-tologists. Seemingly wide open – this could be the region that provides us with the biggest upsets of the tournament. Top seed Indiana is clearly a talented squad, but has faltered down the stretch finishing their season 3-3. Still, this team is well rounded in all areas. Cody Zeller and Victor Oladipo provide a balanced attack offensively and Indiana have even more scorers off the bench. Oladipo can guard just about anyone and should limit opposing teams’ star players. Indiana has a hell of a fan base and the Hoosiers are title threats in every tournament. Their current odds to win the tournament are 5/1. No 2 Miami: The boys from “The U” could be the least hyped number 2 seed of all time. Not dominant in any phase of the game, Miami is a senior squad with one of the top point guards in the nation in Shane Larkin. Miami felt they deserved the number one seed and will be playing with a chip on their shoulder in this tournament. They are riding under the radar right now but are as good as any team in the country, and we would not be shocked if they made a trip to the Final Four. No. 4 Syracuse: Teams that often win the tournament seem to peak at the right time and Syracuse have done just that. Despite losing the Big East tournament with a terrible 2nd half against Louisville, the Orangemen come out of a tough conference in the Big East and could very well be the best team in the region. They have a roster of future NBA players and a Hall of Fame coach and are eager to avenge their 2nd half collapse against the Cardinals. Watch out for Syracuse, who are listed at 25/1 odds to win the tournament. No. 11 Minnesota: Trending on Facebook and Twitter as the year’s top Cinderella team, the Golden Gophers will have to get past number 6 seed, UCLA to advance past the first round. Tubby Smith has not won an NCAA tournament game since coming to the Twin Cities, but we think this year he gets his first victory. Minnesota had the third strongest schedule in college basketball, which we’re sure contributed to their poor finish. However, this team plays with passion and could play spoiler if they get out of the first round. Minnesota’s odds to win are listed at 75/1. Sports Betting Online will be providing players with daily betting picks against the spread for the tournament’s top games. Check back frequently for updated picks and expert analysis!